Cargo Liner. Weather beater Series - Often referred to as floor mats. Husky Liners Weather Beater Floor Liners are engineered to fit the complex contours of your vehicle's carpeted floor boards, trunks, and cargo areas. The Husky Floor Liners form-fit design and raised containment walls will help keep your carpet clean even in the worst weather conditions. Fluid containment ribs and treads channel messes away from your shoes. This unique design keeps mud, snow, water and debris off your vehicle's expensive, hard to clean carpet. 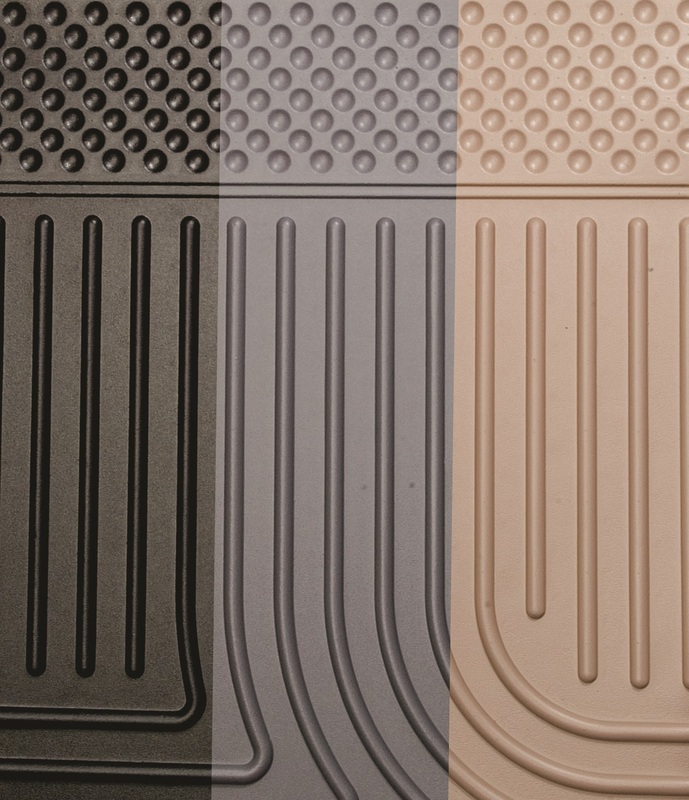 Husky Weather Beater Floor Liners incorporate key elements from your vehicle's interior, giving your Floor Liner a customized looks and feel. The patented Form-fit Edge at the door thresholds contain debris and allow for easy vehicle entry and exit. 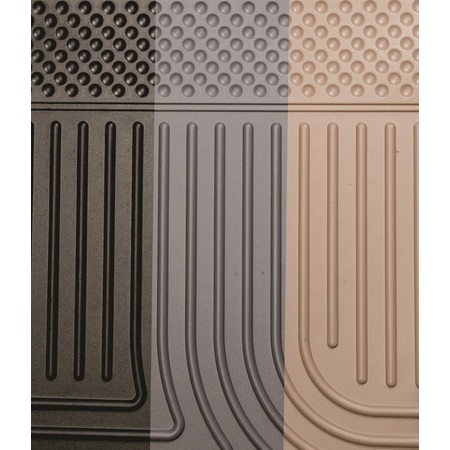 Husky Weather Beater Floor Liners are easy to clean and built to last against cracking and breaking. Our patented rubberized material withstands most harmful chemicals including oil, gas, and battery acid. To help prevent your liners from shifting, most front and rear seat Floor Liners are designed with our patented "SPiN" (STA-PUT Nibs) technology. The anti-shift Nibs on the back of the liner grip the carpet and help hold your liner in place without the use of additional fasteners. Offering applications for most of today's popular cars, cross-over's, sport utilities, and trucks Husky Liners brand Floor Liners' proven protection. Your new cargo liner is custom molded to fit your Lexus RX350. Upon removal from the box your liner will not completely unroll and lay flat. This is normal and only temporary. Just place the liner on the floor or in the trunk of your vehicle with a weight in each corner (a book works well). After about 15 minutes, your liner will remain flat. In colder climates this “relaxing” may take longer; moving the liner to a heated area will accelerate the process. Your liner is manufactured using an engineering resin that is lightweight and extremely tough and durable. The easiest way to clean your liner is with a damp cloth or sponge. If using a cleaner, 409® or Glass Plus® work well. Use of Armor All®, Son-of-a-Gun® or similar items is discouraged as these products make the liner slick.